Dragon Steel say the benefits they saw once STRUMIS was implemented, were immediate when it comes to saving time and the efficiency in the materials and supplies procurement stages. 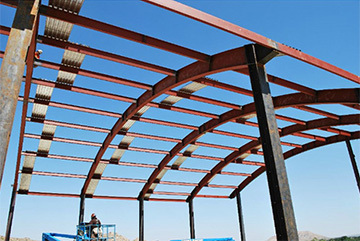 Ervin shares that, "It takes a fraction of the time to find, coordinate, order and track materials than it used to, saving us a lot of time and this translates into saving costs.” Dragon Steel feel that the flexibility of the software and the software module are also amongst its most appealing aspects, in addition to its integration with Tekla, which means they no longer need to enter any data manually. 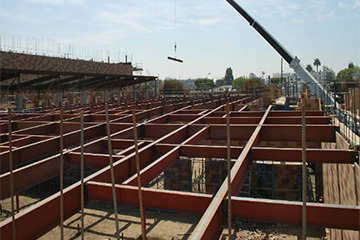 When it comes to the STRUMIS Estimating module, you get a module which is ready to use and designed specifically to meet the needs of the estimators. For Dragon Steel, the Estimating module enabled them to estimate accurately for projects and successfully win bids. One of the many benefits of STRUMIS is that it uniquely has an integrated 3D modeling communication tool that enables one to visually track, enquire and communicate with all parties of the project lifecycle. This is very helpful to Dragon Steel as it allows their crew to visualize some of the more complex connections or fittings, ensuring correct assembly. Ervin comments, "[as] BIMReview is included with STRUMIS we don’t need […] extra trips back and forth from the shop to the office to view complex connections.” This in turn saves Dragon Steel so much time! STRUMIS Management Information System software is truly a global product. Appealing to companies across the continents, yet managing to be true to our ethos of staying approachable—with our personal touch we get to know each and every one of our clients, their organization’s needs— we work together to find solutions to help fabricators grow their revenue. Our software is industry-specific, so our expertise level is second-to-none. We know how to make sure businesses can save on time and costs, all with ease.